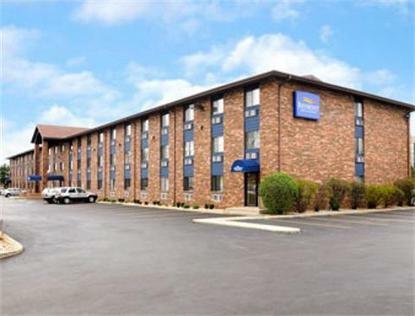 The Baymont Inn and Suites Naperville, IL is pleased to provide our guests with exceptional service and quality amenities at an affordable price. Whether you are here for Business or Leisure you can enjoy our Fitness Center, and Free High Speed Wireless Internet in all guest rooms, Free Cable, Pay Per View Movies and much more. After a restful night of sleep, you can look forward to starting your day with a Complimentary Baymont Breakfast Corner. To make your stay even more rewarding, please join Wyndham Rewards, our guest loyalty program.We have several restaurants nearby: TGI Fridays, Bob Evans, Chevys Fresh Mex Restaurant, Panera Bread, Famous Daves and Wendys. We are located minutes from the famous Naperville Riverwalk, Morton Arboretum, Chicago Premium Outlets and a convenient drive to Downtown Chicago and OHare International Airport.